Machine Capacity: 2" TO 8"
Pouch Length: 6"-8", 10"-12", 4"-6", 2"-4"
Pickle filling machine semiautomatic. 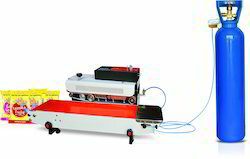 Pneumatic piston filling machine. Works with air compressor. One year service warranty. Use food grade material. Leveraging the skills of our qualified team of professionals, we are instrumental in offering a wide range of Mixed Pickle Filling Machine. We are counted amongst the leading names in the industry, offering functionally advanced range of Semi Automatic Pickle Filling Machine. Our entire product range is sturdy in construction and ensures smooth operations. Semi Automatic Pickle Filling Machine ensures accurate results and caters diverse requirements of pickle production department. Having year of experience, we are involved in offering a wide array of Chips Pouch Packing Machines. The offered Chips Pouch Packing Machines are extensively used to hold the pouch and making in to proper shape. Moreover, the offered products are available in market in bulk at most reasonable prices. 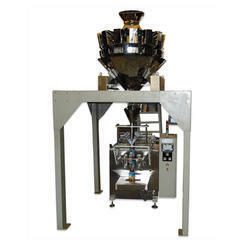 We are the manufacturers of Pickel filling machines. The speed of machines can be varying according to the filling character of the products.